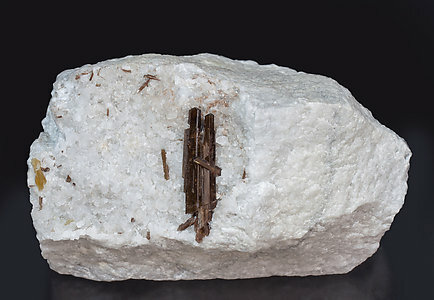 Parallel growth of two crystals of Allanite-(Ce) on Calcite matrix with a good length, very well defined faces and edges, translucent, very bright, with a very intense and deep color and with small Hydroxylbastnäsite-(Ce)crystals related. A French classic. 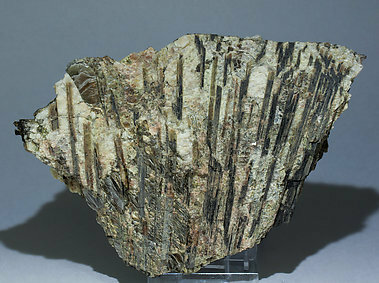 Parallel aggregates, oriented on the feldspar and Muscovite matrix, of flattened Allanite-(Ce) crystals with a dark Brown, almost black, color. 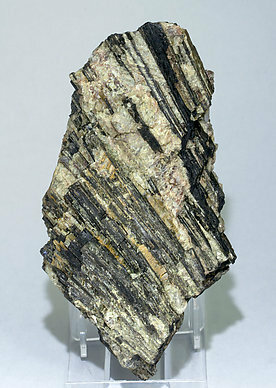 Some decades ago this kind of sample, a Norwegian classic, was considered great quality for the species.